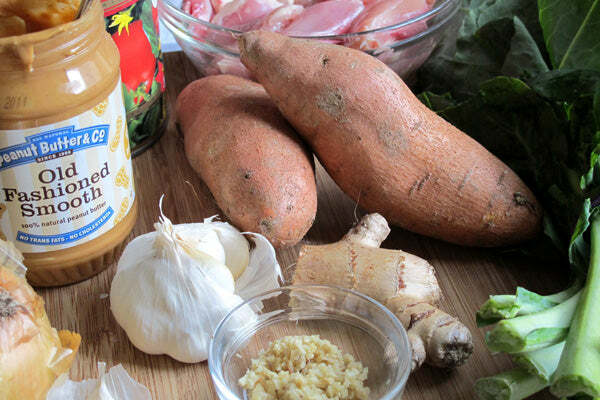 Peanut butter adds a savory richness and depth to many of my favorite dishes from around the globe. 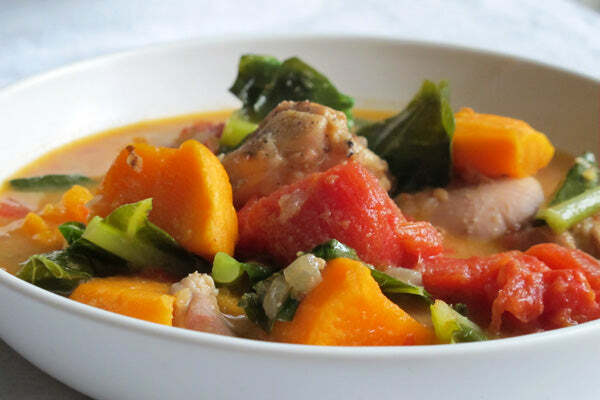 Among them is this stew, which uses peanut butter to round out the acidity of the tomatoes and pair up with the sweet potato. You’ll be surprised how comforting this savory stew is—it’s rich, simple, and a must for the peanut fan in all of us. 1. Heat oil in a large Dutch oven over medium heat. Season chicken with salt and pepper; add to pan. In batches, brown chicken until golden on all sides, about 5 minutes per batch. Transfer chicken to a plate as it becomes browned. 2. Add onion, garlic and ginger to pan; cook, stirring, until softened, 8 to 10 minutes. 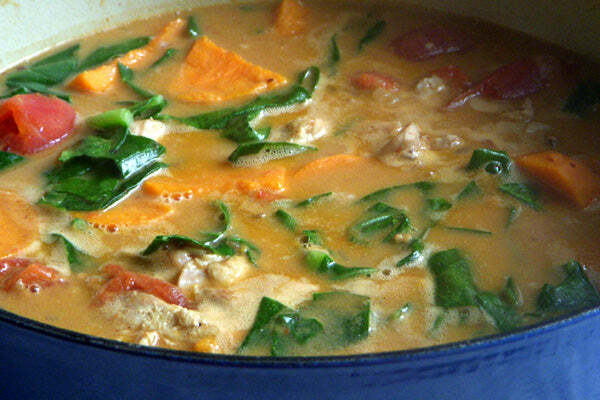 Add chicken, tomatoes, potatoes, 1/2 cup Old Fashioned Smooth peanut butter, and cayenne; stir in chicken broth. 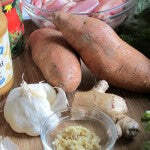 Bring to a simmer; cook until sweet potatoes are almost tender, about 15 minutes. 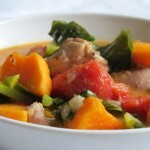 Stir in collard greens or kale; cook until greens are tender, about 5 minutes more. Stir in remaining 1/4 cup Old Fashioned Smooth peanut butter before serving. 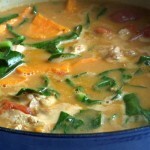 The post African Chicken Peanut Butter Stew appeared first on - Peanut Butter & Co. Recipe Blog.